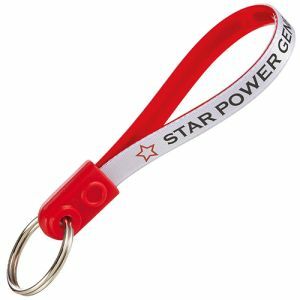 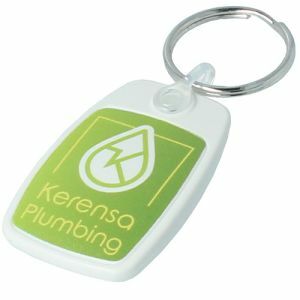 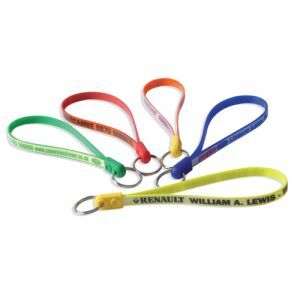 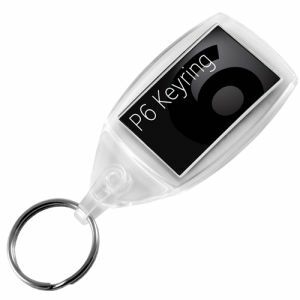 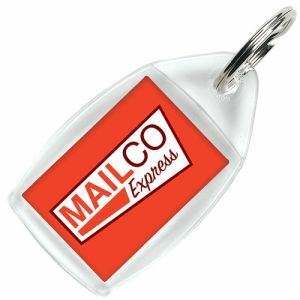 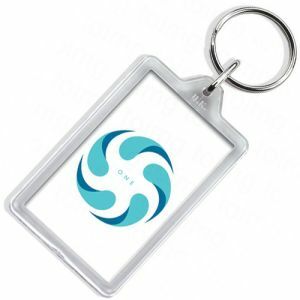 Printed Jumbo Loopy Keyrings are an excellent promo budget item for putting your message, contact details, company name on. 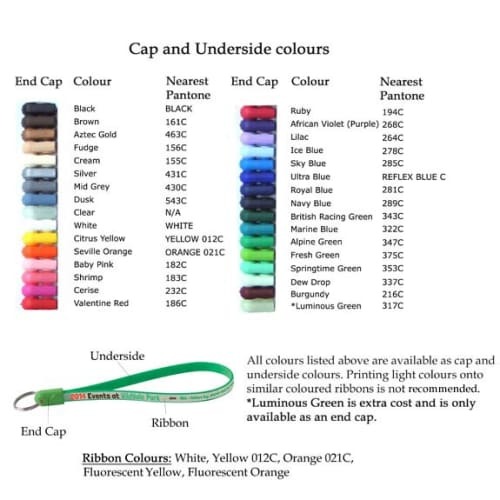 These adloops are a handy alternative to the traditional keyring, lots of colours to choose from and available in 3 sizes, prices shown are for the Jumbo. 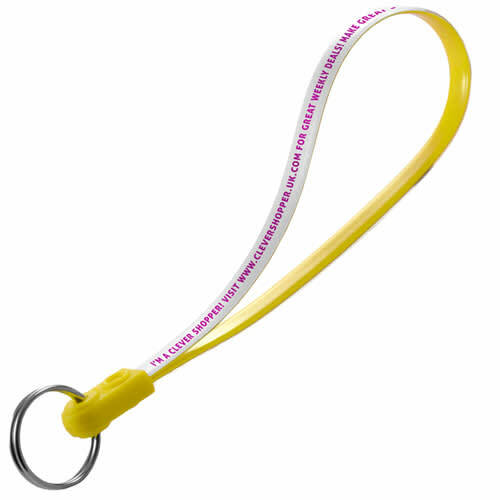 You can mix and match various parts of these loop keyrings, ribbon, plastic underside and the end cap.